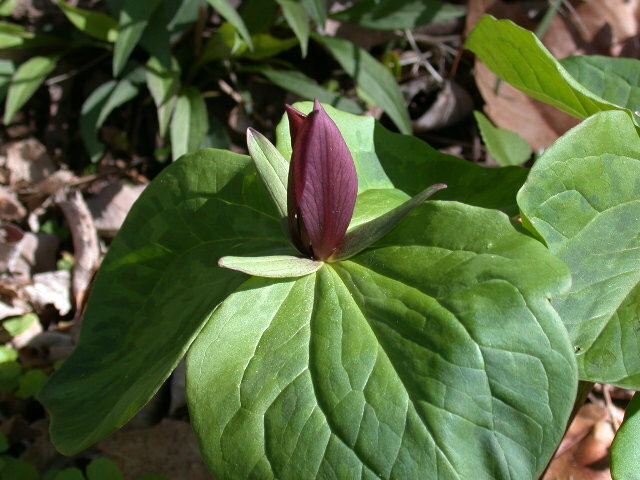 Toad Shade Trillium (Trillium cuneatum and sessile): Spring Bloomer. Great Falls National Park, MD/Carderock. Photo by Ken Clark Berries found in August in the Tea Creek Backcountry, MNF, WV. 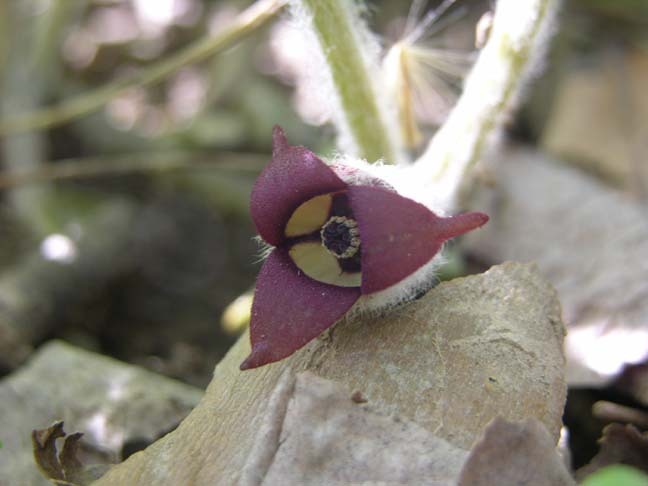 Wild Ginger (Asarum canadense): Odd brown flower at the base of two stems supporting large spade-like leaves. Usually grows in patches. If you think you've found a patch that is not in bloom probe the base of the plant for the root and scratch it with your finger. You should get the scent of Ginger. Photo by Ken Clark. 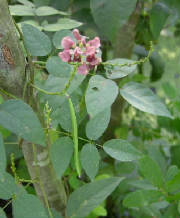 Groundnut (Apios americana): A wild bean w/maroon to brown flower. 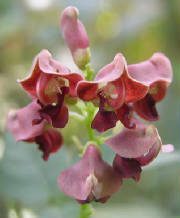 Twiney plant which grows in swampy areas. Location: Jug Bay, Patuxent River, MD. Photo by Ken Clark. 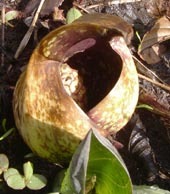 Skunk Cabbage (Symplocarpus foetidus): The green to brown spathe envelopes the spandix within which small flowers appear. Leaves are imtially coiled but then open up to be quite large. Produces a foul odor when crushes. Found in swamps and seeps in wet woods. Photo by Dimitri Tundra.